Looks like Spinach in younger age, this plant brings red strips on its leaves. This plant can even thrive in poor quality soil and drainage. 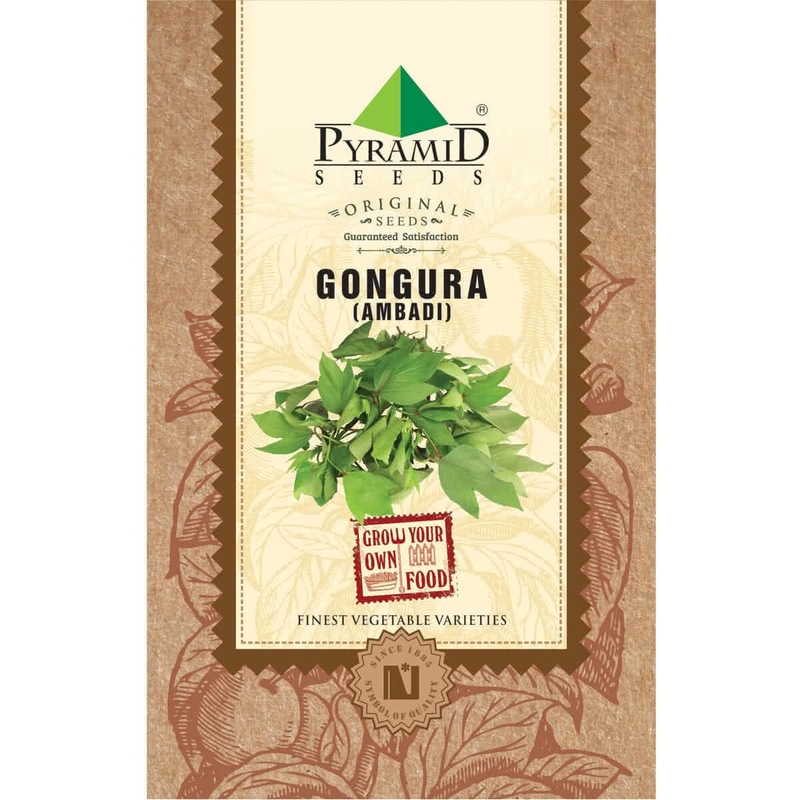 Introduction and Uses: Gongura is a perennial know for its culinary and medicinal uses. This leafy vegetable is a rich source of vitamins, antioxidants and minerals that are highly beneficial for overall health. Make shallow holes (1 cm) at a distance of 3 x 3 inches. If seeds are sown on outdoor raised beds, protect them from heavy rainfall or direct sunlight by making a temporary roof plastic sheet for first few days. Seeds will germinate within first 6 days, or even earlier & tiny seedlings will be visible with first leaves. Baby Gongura plants will be visible in 10- 15 days. Sunlight: Gongura requires partial sunlight of 3-4 hours. So place your containers accordingly. However, it can withstand full sun during winters. Watering: Water your Gongura container / raised bed every day in the form of a light shower with a watering can. Sprinklers can be placed outdoors. Microgreens: If you plan to grow microgreen Gongura leaves, grow it indoors in flat containers. Sow-scatter the seeds in a crowded manner. You can harvest it in 10-15 days by uprooting the baby plants. Harvesting: About 25-30 days after sowing, Gongura can be harvested by cutting the mature leaves using a scissor and leaving the fleshy base of the plant for the next harvest. In this way you can harvest Gongura 4-5 times in the intervals of 20-25 days. Note: Young leaves of plant look like spinach. Leaves should be harvested while they are young. If not regularly harvested, Gongura plant can become an erect bushy shrub.